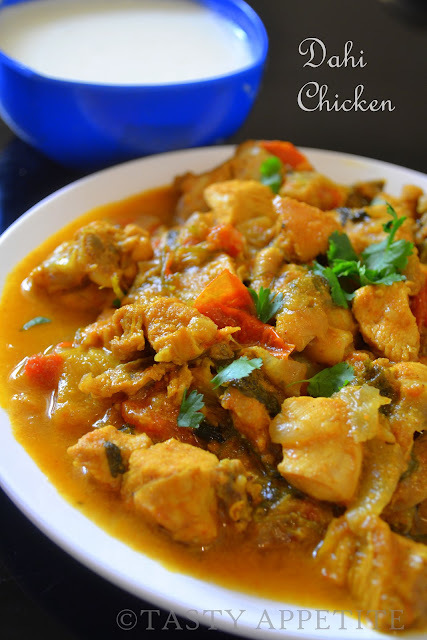 Yoghurt Chicken is a classic Indian curry dish and is hot & spicy. 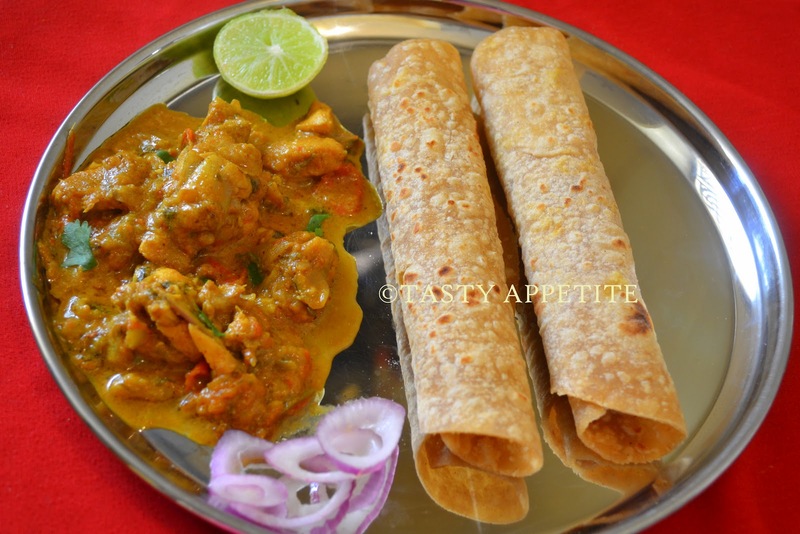 It is very simple to make this recipe that has wonderful combination of aromatic flavors. In this recipe, chicken is marinated with yoghurd and cooked on low heat with Indian spices. This is an easy recipe to make especially on Sunday menus. It pairs up excellent with roti, chapathi, naan or white rice. 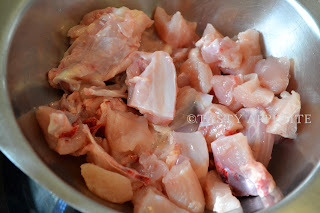 Clean chicken pieces and chop them to bite sized pieces. Prepare marinade with curd, 1 tsp red chilly pwd, turmeric pwd and garam masala pwd. Marinate the chicken pieces and keep aside in fridge for half an hour. Add chopped onion pieces and fry till light brown. Add the marinated chicken, mint leaves and mix well. Add cumin pwd, coriander pwd, red chilly pwd and chicken masala pwd. Cover and cook on low heat, for about 30 minutes or till the chicken is tenderized. 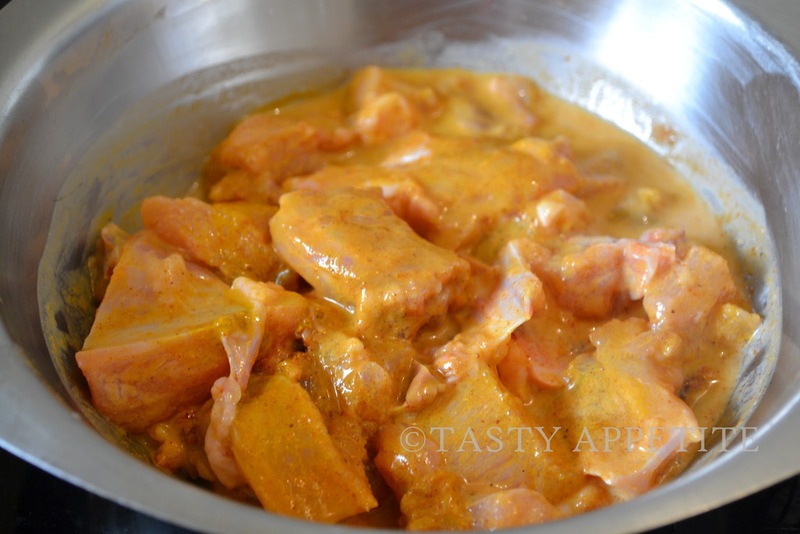 The gravy can be thickened by adding a tbsp of cornflour dissolved in some yoghurd before the chicken is fully cooked. Will bookmark ... since I am vegetarian.. but my kids will love it. I love just any gravy with yogurt and being a vegetarian, can't think of chicken, though would surely replicate ur recipe with something veg....ultimate one!! Jay you are one super chef to show us how to cook these lovely foods. I like very much the chicken and this recipe looks delicius. Looks really delicious! We love yoghurt chicken, will have to try your version! Thanks for sharing! That looks really good. Just wondering about the chicken masala powder. What is it..........one of the packaged chicken curry masalas ? Un plato de pollo bien rico... que bueno. Mouthwatering Chicken !! Looks very yummy !! thank you so much for your visit to my blog & your kind words, I really appreciate it..
oo this looks so good! i love yogurt sauces, and with the spices? mmmmm! yes Sadaf, you can get chicked curry masala packets in all Indian stores near by..
Looks very delicious ! Another one of my must try dish ;D Love the gorgeous color of the dish ! 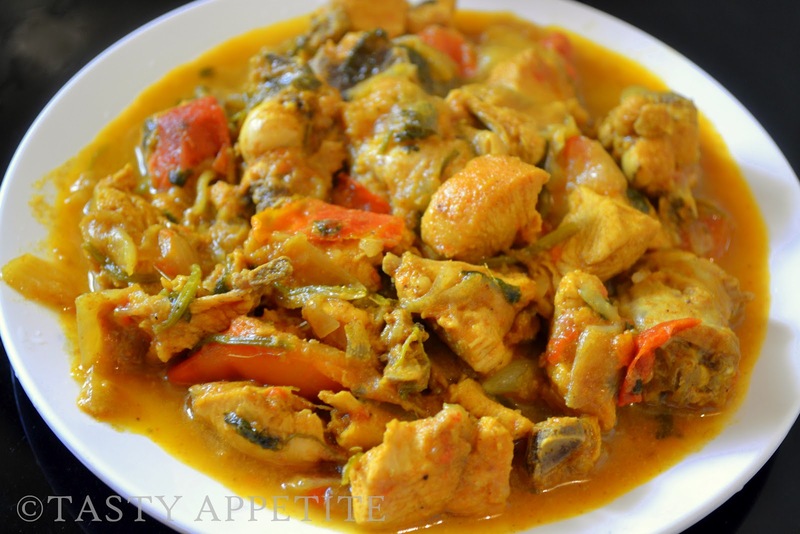 Yoghurt is a great ingredient and that brought out a lovely outcome to your chicken curry, looks so yummy. I've not heard of yoghurt chicken before but it sounds lovely. 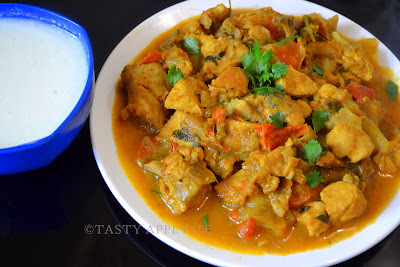 A bit of spicy food would be perfect in the cold weather at the moment! Just mouth-watering...looks appetizing and delicious! awesome!..and absolutely looooooove the way you've presented it! It looks delicious and I like how you served it! hi jay, how nice, i finally got to comment, failed a few times earlier. As usual another rocking recipe! Oh wow that looks so good and flavorful. Thanks for following Bacon Time, I am following you with GFC. Please join us at Bacon Time each week for our Anything Goes linky every Fri-Monday. On Thursdays I do a nice featuer post too from the previous linky. Thank you so much for your lovely message. What a nice blog you have. Now I am following you. Thanks for stopping by my blog and leaving a comment Jay. You now have a devoted follower too. Love your blog! I like the way you presented dahi chicken. Beautiful dish with wonderful and tempting flavors!